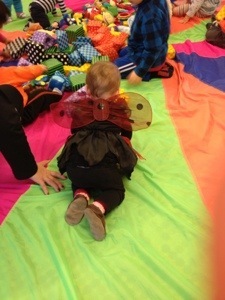 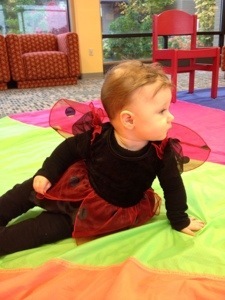 We went to baby storytime at our local library this morning, where our little lady got to show off her little ladybug costume. 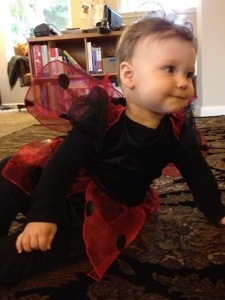 I tried to get a good picture of her before we left the house, but she was a grouchy ladybug a that point. 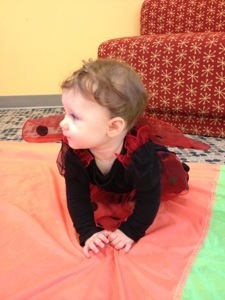 I snapped a few pictures while she was happily exploring at the library, though. 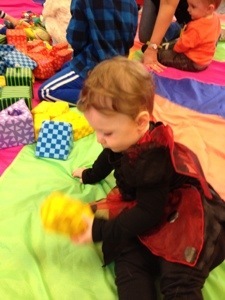 Then I got one good picture when we got home. 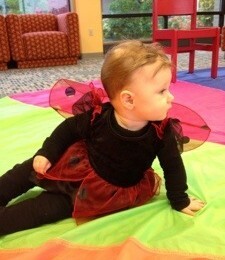 She is as cute as a bug’s ear (as my Grandma used to say)–fits with the costume too.